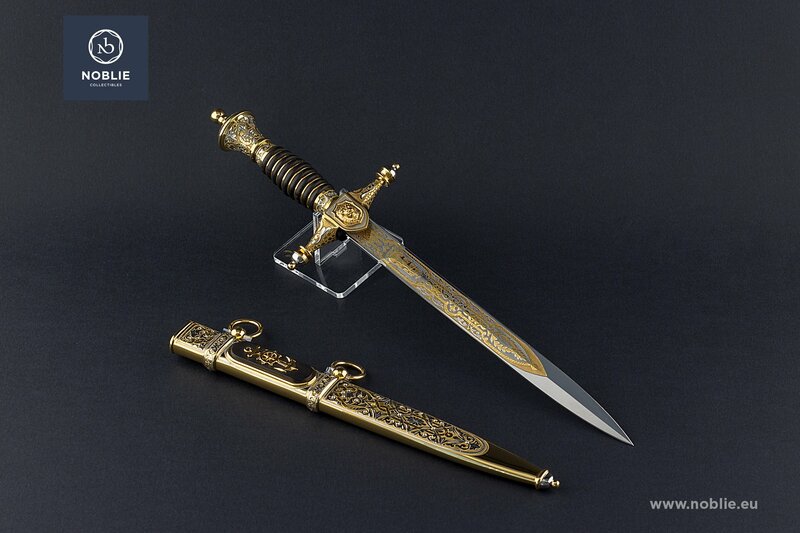 Produced by traditional methods of metalwork and decoration: etching, polishing, engraving, nickel plating, gold plating, fretwork. Blade of stainless steel 440C. Miniature of the Sail Ship, depicted on one side. Ornamental adornment on the both sides. 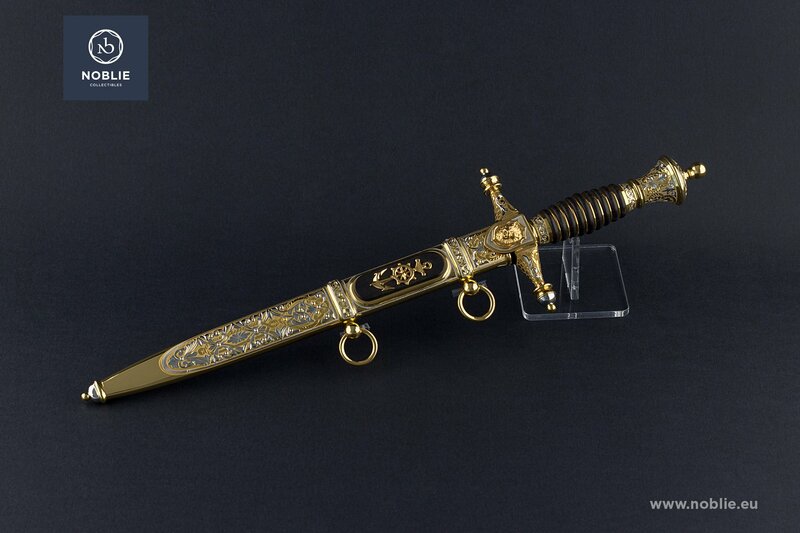 The handle is made of assembled metal and wooden parts, with gilded brass cross guard and decorative pommel. Depiction of Leon head on the guard. 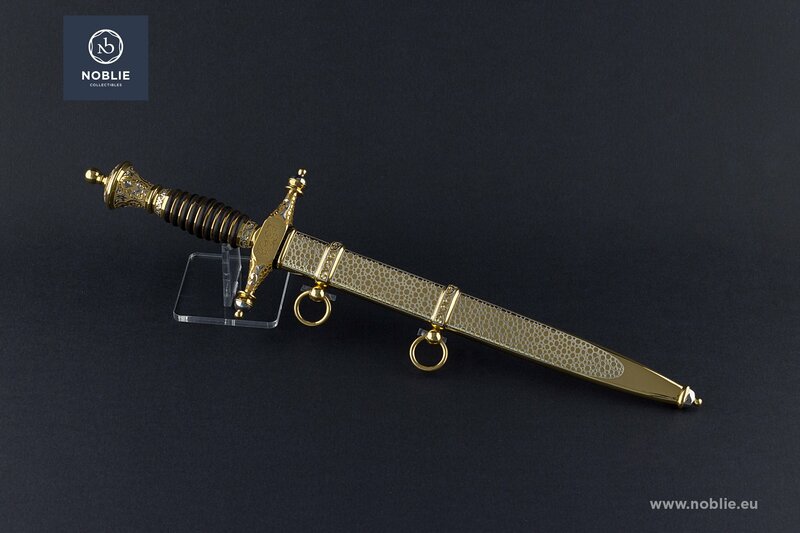 The scabbard is all-metal forged, made of brass, with two decorative suspension rings. Depiction of anchor on the scabbard. 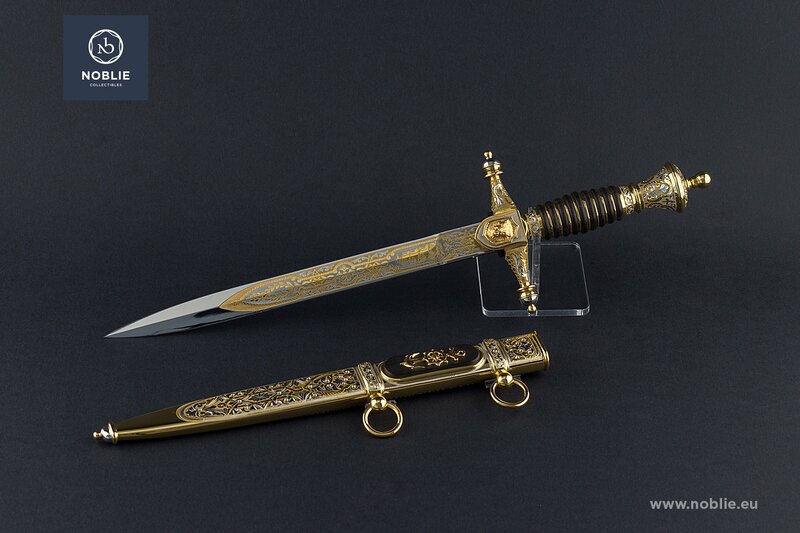 Additional decoration by: etching, polishing, engraving, nickel plating, gold plating. Two pairs of demonstrative gloves in the set. Knife ”Sniff out the prey"